is soluble in water and alcohol, almost insoluble in ethylether and benzene. Stable when dry. Packaging: Packed in net 25 kg multiple paper-plastic bags with PE inner liner. Use: Mainly used as Curing Agent For Epoxy Resin. moisture and handle with care when transportation, loading and unloading. Looking for ideal Dicyandiamide Manufacturer & supplier ? We have a wide selection at great prices to help you get creative. All the DCDA are quality guaranteed. 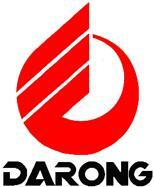 We are China Origin Factory of DICY. If you have any question, please feel free to contact us.